To become influential in an industry, you need knowledge and experience- lots of it. There are few people in information destruction today who have amassed as much of both as Vlad Vasak, an experienced multinational corporate executive and founding member of K-2 Partners, a Mergers & Acquisitions advisory service company for the document destruction/information management sectors. With a background that includes such varied industries as ready-mixed concrete, waste hauling, and large scale plant bakeries, Vlad joined Recall Corporation in Sydney, Australia in 1994, where he became national manager of Intershred Confidential Destruction (as it was then known). When Recall entered the North American document destruction market in 1999, he moved to the US and has been here ever since. He joined Iron Mountain in 2000 as president of the Secure Destruction division, charged with establishing the company’s presence in the shredding industry throughout North America. This included the development of a dedicated business model, management and sales teams, and acquisition activities. Under his leadership, the division grew from $0 to $50 million. As the business continued to grow and become more integrated into Iron Mountain’s core operations, Vlad’s role was becoming more specialized. He supported international operations, continued to play a key role in mergers and acquisitions, and was the company’s NAID representative. He also headed up the design and construction of shredding facilities and was responsible for all technology aspects, workflow optimization, and for health and safety initiatives. When Vlad and two ex-Iron Mountain colleagues launched K-2 Partners in 2010, they jointly represented more than 60 years of senior-level industry management and 80 years of hands-on experience in service-based environments- as well as completion of over 175 acquisitions worldwide, including the industry’s largest. Partners Bob Miller and Ross Engelman are also highly respected experts in their field, having served as Iron Mountain division presidents in the records management, data protection, and document imaging sectors, both in North America and worldwide. Miller had also served as president and COO of Iron Mountain, before heading up the development of Iron Mountain’s Asia Pacific region. Engelman headed up the Latin American operations as well as the company’s fulfillment business. K-2 Partners closed 11 deals in 2012 and 19 since their launch in 2010, reaching the $400 million mark in aggregate deal value. In the process, they have also achieved some exceptional results for their clients. “We got in by luck at the perfect time,” said Vlad. “Together we had experience buying, selling, integrating and running companies, so we came at mergers and acquisitions from the operating, instead of the financial end. Most people in the M&A field have a financial background, but have never run Document Management companies. We personally know the senior leaders of all major companies in the industry. We know how they look at a business in this industry and what they expect to maximize from it. It allows us to analyze, position, and present a seller’s business in a way that will be most attractive to each potential buyer. 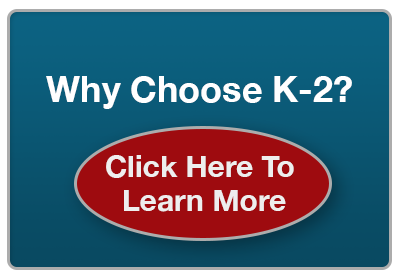 It’s a unique vantage point.” This intimate familiarity and know-how helps K-2 understand precisely what each buyer and seller is looking for. And they help clients improve their businesses whether they are ready to sell or not. He added that although mobile shredding is a less capital-intensive way to start in this industry, as the business gets larger, plant-based shredding becomes more economical. How has the industry changed over the past 20 years? “The biggest change has been the shift from corporate security to personal privacy as the driving factor behind this industry. In the 90s and early 2000s, we were convincing people of the need to protect their own company’s confidential information against competitors. But around 2002, there was a major shift and suddenly companies were expected to protect their clients’ personal information. The explosion of e-commerce on the Internet opened the world up to identity theft on an unprecedented scale and that triggered the introduction of state and then federal, laws such as HIPAA.